Do we under-appreciate Tom Hanks? This is the question before us today, a question that my beautiful girlfriend has answered with a definitive “Yes” several times over the course of our relationship, including just recently, which got me to thinking about it too, but also thinking about something else that I will address in a minute because first, Hanks. Culturally, I think, Tom Hanks remains quite appreciated, often cited, as he was in a recent Saturday Night Live sketch, as America’s Dad. Of course, the phrase America’s Dad sort of intrinsically suggests someone apart from his acting contemporaries. Hanks simply emits a different vibe from, say, the twitchy edginess of Joaquin Phoenix, or the hipster social media cred of Michael Shannon, or the high watt regality of Michael Fassbender. 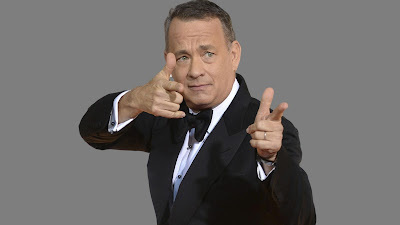 Even when you see Tom Hanks in a suit, and you usually do, his aura suggests he is wearing a sweater, cozy, familar. That sensation is furthered by his recent films, helmed by the grandfatherly guard of Steven Spielberg and Clint Eastwood, in which Hanks played real-life middle-aged, All-American heroes James Donovan and Chesley “Sully” Sullenberger, never mind another appearance as Robert Langdon in “Inferno”, the hero of Dan Brown’s airport rack novel series, the very epitome of the entertainment proletariat. I have not seen “Inferno” but Hanks was excellent in both “Bridge of Spies” and “Sully”, never metaphorically shouting all his dialogue through a Stars & Stripes bullhorn in the former and quietly illustrating the controlled nature of his character that allowed him to do what he did in the latter, and he was even better in the otherwise mostly mushy “Saving Mr. Banks” as none other than Walt Disney, knifing under the skin of that infamous entertainer ever so delicately to unearth deeper shades. But then, these performances do not completely transcend his outward America’s Dad Hanks-iness, just as his forthcoming turn as Ben Bradlee in “The Post” does not really either. With, say, Daniel Day-Lewis, you can really get traction on his transformations whereas Hanks has not really taken that sort of acting deep dive since he grew a beard and got thin for “Cast Away.” (Hanks does, however, remain the master of the regional American accent.) And while Day-Lewis’s infamous long breaks between films, and his engimatic disappearances from the public eye during those breaks, seems to engender a cavalcade of (oft-deserved) superlatives every time he re-emerges, Hanks always remains very much here, and if his new performances are always acknowledged, they are never quite baroquely extolled, just sort of rendering Hanks the Actor in the public imagination as is. Time, of course, cuts different ways. 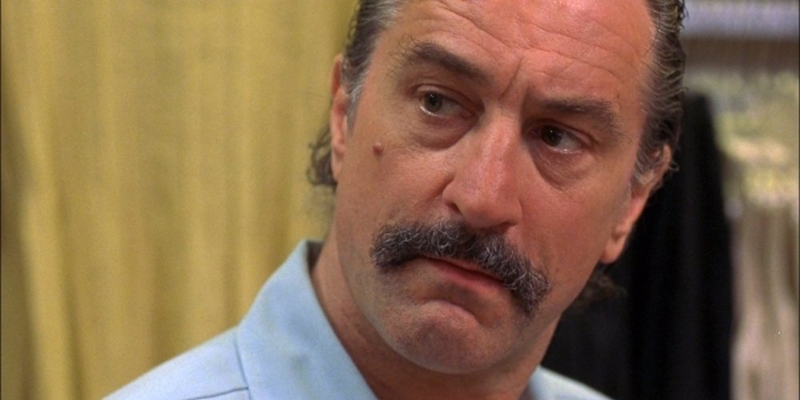 Time has, in many ways, taken the luster off Robert DeNiro, brought about by less than savory performances in less than savory films, which too often temper the good performances he can still give, fading away rather burning out. Yet, twenty years ago DeNiro did not exist in pop culture as a fallen titan. If anything, DeNiro’s Italian surname had taken on almost mythical connotations. To burgeoning semi-cinemaphiles such as myself, to say his name was to immediately conjure mental images of Jimmy Conway standing at the bar staring down Morrie or Johnny Boy blowing up the mailbox. He loomed so large culturally that his new performances, while not necessarily measured against those of his past, still tended to invite a kind of broader complacency. Indeed, the historical Hollywood texts will show that 1997 supporting male performances like Robin Williams in “Good Will Hunting” and Burt Reynolds in “Boogie Nights” and Kevin Spacey in “L.A. Confidential” were the primary focus of awards. 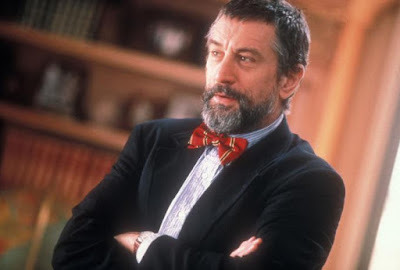 Little mention, alas, was made of Robert DeNiro’s two turn winter in “Jackie Brown” and “Wag the Dog.” Why his “Jackie Brown” co-star Robert Forster earned an Academy Award nomination as did his “Wag the Dog” co-star Dustin Hoffman, but not DeNiro himself. Why not? In “Jackie Brown” as lifelong criminal Louis Gara, DeNiro was deliberately hunched in his posture and slow-witted in both his manner and speech, sort of mumbling in half-sentences and always seeming to be half-second behind whatever anyone was trying to communicate to him, behavior deftly evoking a man who had spent much of his life behind bars and without much beyond the most primitive contact. In “Wag the Dog” as vaguely defined yet conspicuously powerful political operative Conrad Brean, on the other hand, DeNiro spoke with great alacrity and clarity while simultaneously utilizing all manner of little bodily tics to indicate someone sizing you and everything else to ensure he stays one step ahead. Released within a week or so of one another, these two performances could not have been any different (in fact, a year later, in “Ronin”, DeNiro would more or less meld these two performances into one, playing a less talkative guy who was highly observant) and yet, while there was less fly-by-night awards punditry then exists now, I remember thinking it odd that neither of DeNiro’s turns were being hailed like so many others. Time had not passed him by, yet it had caused him, a la Hanks, to settle as he was, a great actor giving great performances, which was understood if not quite recognized, simply accepted as the status quo. I am not suggesting that Hanks is about to go the way of DeNiro, not at all, simply seeking to remind ourselves that even as Hanks assumes this role of cultural capstone he very much remains a working actor. It’s nice that he’s America’s Dad; I’m happier he’s Ben Bradlee.